Switch creates one-of-a-kind cardholder experiences that inspire loyalty, leading to recaptured and increased card revenue. The company’s secure, proprietary and patent-pending automation technology gives cardholders the ability to manage and update all of their online accounts in one place — their technology streamlines common tasks like form filling, login, and updating account information. Switch’s automation technology helps issuers recapture and increase card revenue by keeping cards Top of Wallet®. 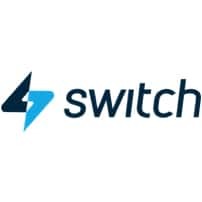 Using best-in-class security protocols, Switch discovers where cards are used for payments, navigates to login pages, and adds new or updated payment cards on behalf of each user. Understanding how these tasks are performing for the end-user is important in ensuring that the product provides an effective solution. Switch streams anonymized crowdsourced site artifacts into InfluxDB, then send it to their Machine Learning systems for analysis.